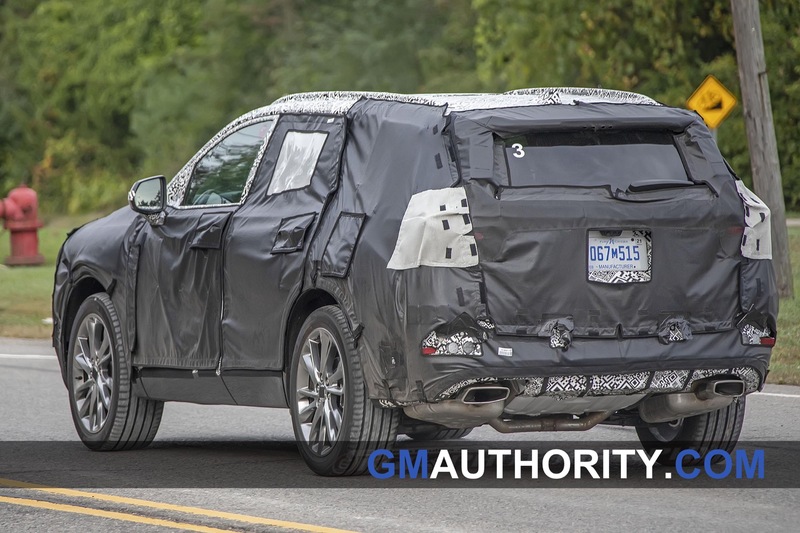 New spy shots suggest that GM is working on a larger Chevy Blazer with three rows. 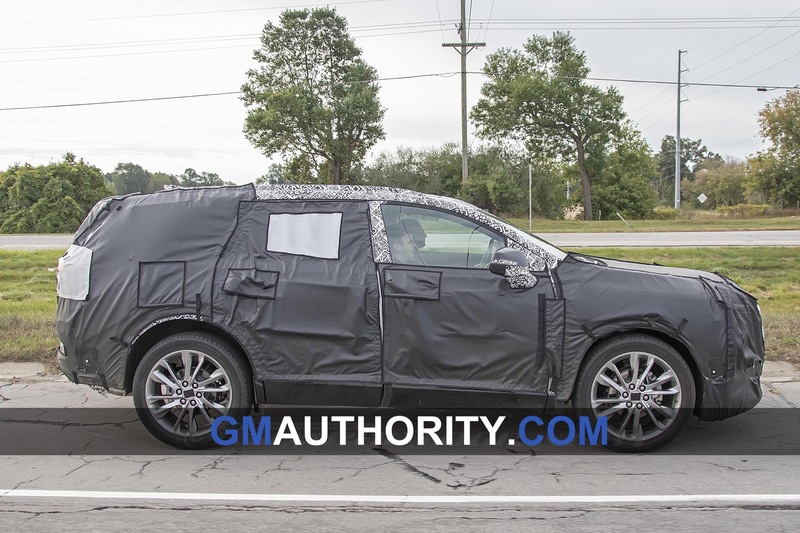 Our spy photographers caught a large-ish prototype of a GM crossover undergoing shakedown testing on Michigan roads. 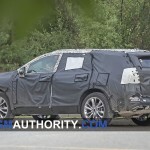 The prototype is wearing heavy camouflage and has styling cues of the new Blazer all over. 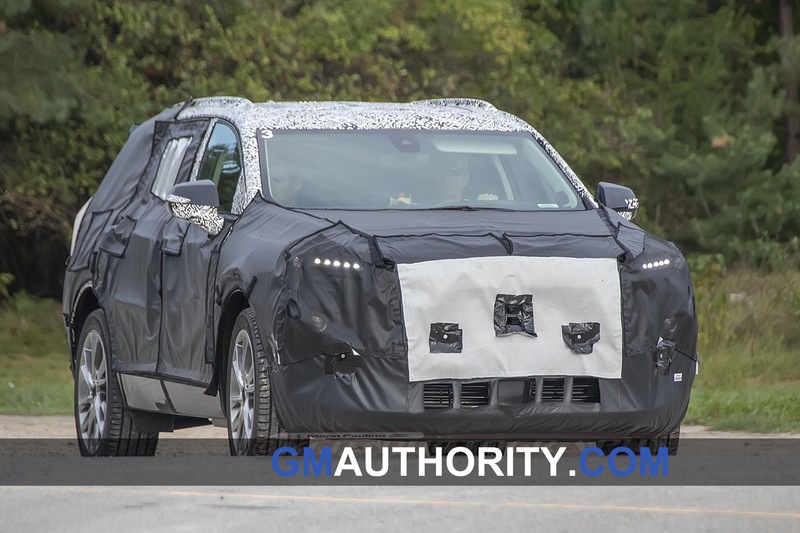 Up front, we see that the prototype has the lighting treatment from the 2019 Blazer, with thin LED strips for the Daytime Running Lights on top, and separate headlight clusters with round lamps placed slightly lower. 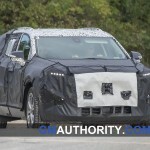 The similarities between the new two-row Blazer and this theoretical three-row Chevy Blazer can also be seen at the A-pillar, as the prototype features the same triangular vanity window at the forward-most part of the side glass – just like the new Blazer. 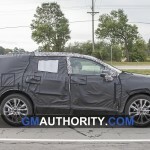 The pedestal-style, sheetmetal-mounted side mirrors appear to be identical to those on the new Chevy Blazer as well. But that’s where the differences end. 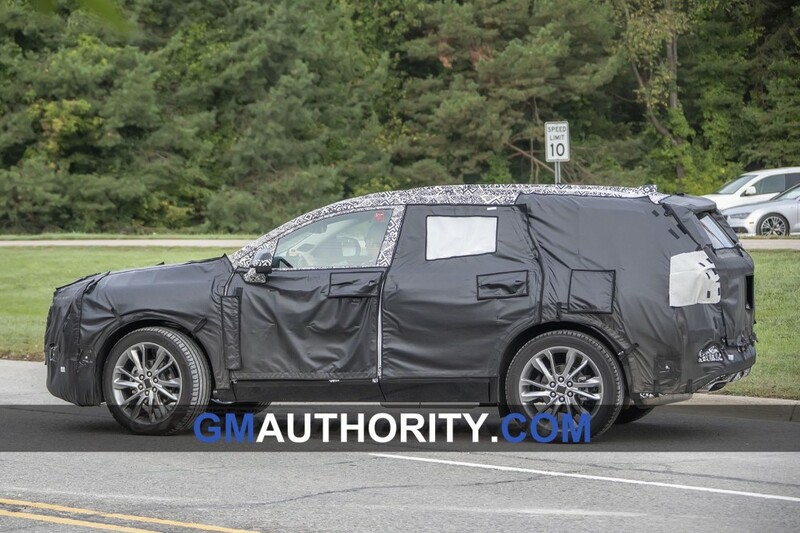 This potential Chevy Blazer prototype has a longer roof line and seemingly more rear overhang, resulting in a larger, more traditional greenhouse and associated passenger compartment compared to the smaller, two-row variant, which Chevy debuted in July. 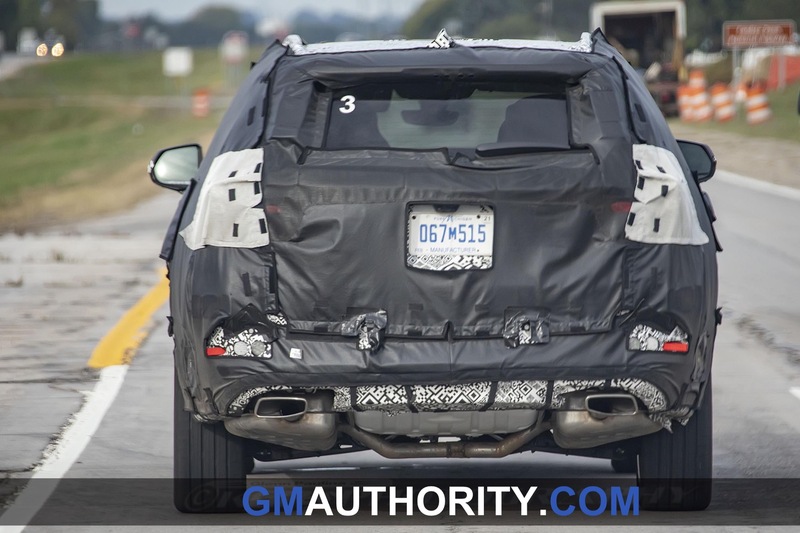 The rear end is more upright, which likely enables a larger, more functional cargo area that can accommodate a third row, something that the 2019 Chevy Blazer can not. 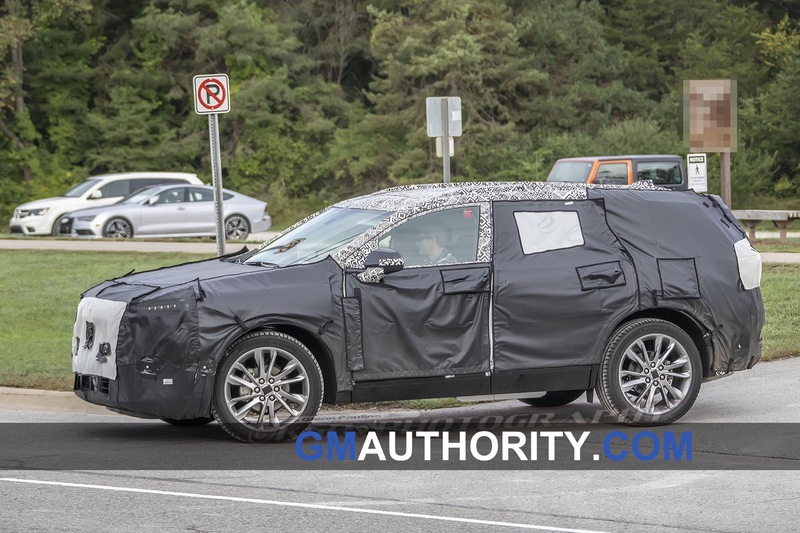 What doesn’t support the theory is the interior: the small glimpse of the cabin that we see here doesn’t have the cabin traits seen in the 2019 Chevy Blazer. 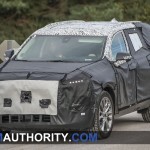 For instance, the driver-side air vent of this prototype has a more traditional, rectangular shape compared to the round air vents featured in the 2019 Blazer. 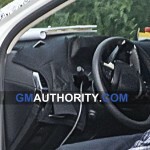 In addition, the steering wheel seems to have a different design compared to that of the new Blazer. All this makes it rather difficult to understand what it is that we are really looking at. 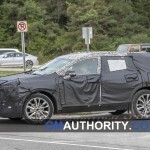 Despite the exterior design similarities to the 2019 Chevy Blazer, the differences are undeniable. 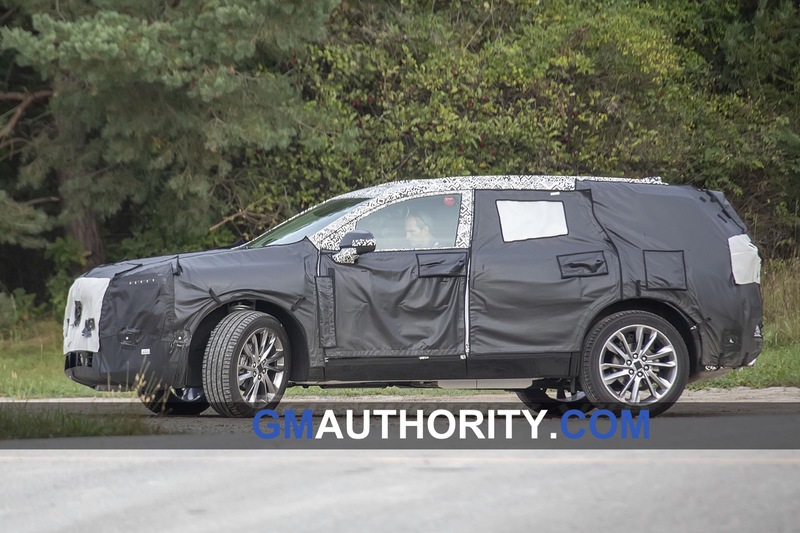 What we can definitely say at this time, however, is that this is not a Chevy Traverse refresh. 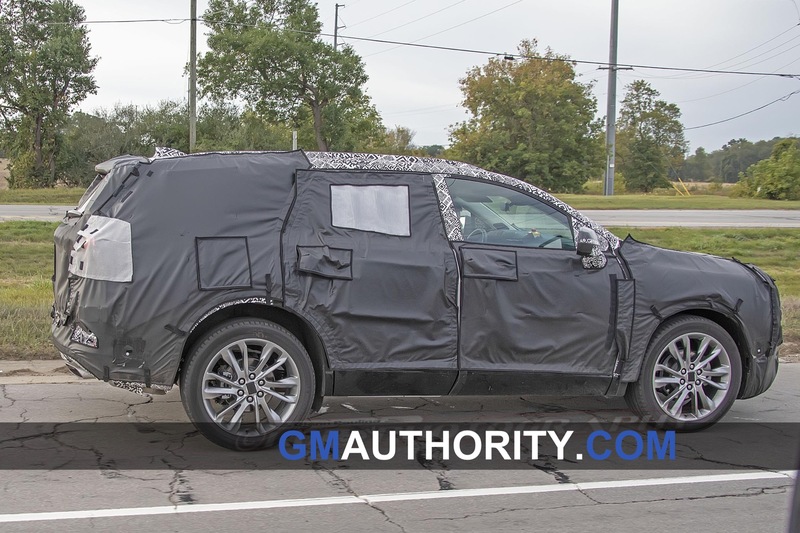 For starters, this prototype is bigger than the midsize Blazer but not as as large as the full-size Traverse. 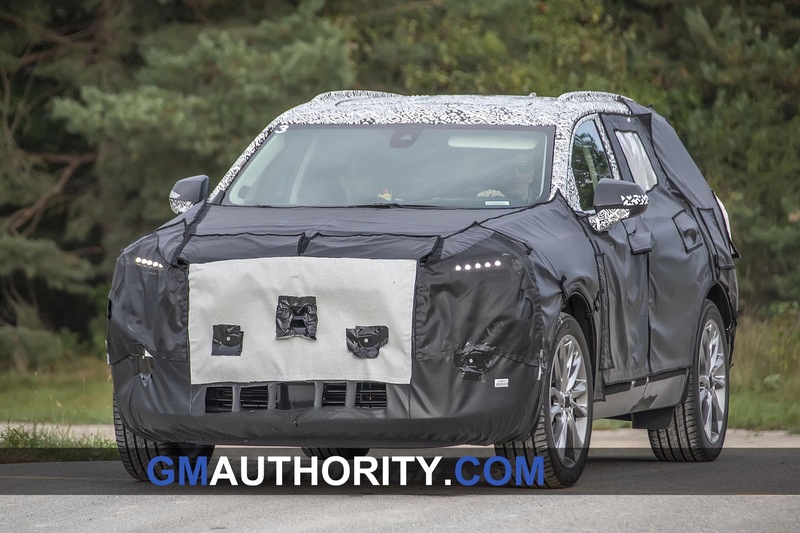 There’s also the issue of what’s realistic for a refresh: GM has been sticking to simple front- and rear-end updates – such as those for the 2020 Cadillac XT5 and 2020 GMC Acadia – for their midcycle enhancements. 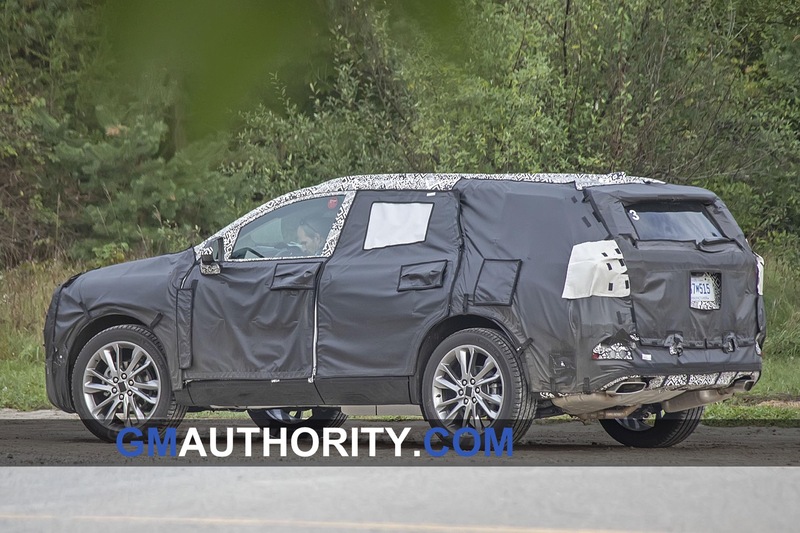 Meanwhile, the prototype seen here has significantly more changes than a facelift would warrant. As of this writing, we have not heard any rumors about a three-row Blazer variant – which makes this sighting that much more interesting. 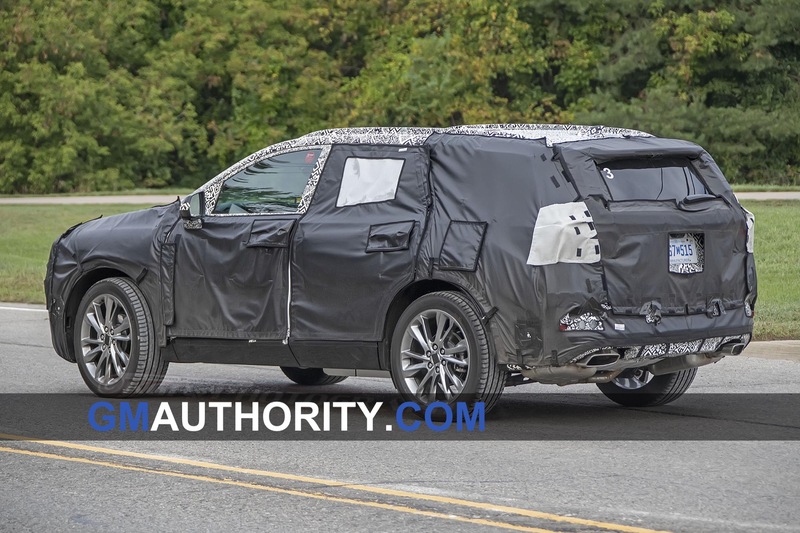 But until we hear otherwise, we’ll chalk this one up to being a more practical, three-row version of the 2019 Chevy Blazer. We image this hypothetical model as having same wheelbase but a more traditional roof configuration with more rear overhang, which enable more space in the rear for a third row and for more cargo. 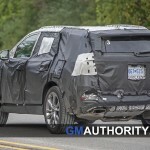 It’s essentially the same strategy taken by Lexus with the new three-row RX350L when compared to the regular RX350. 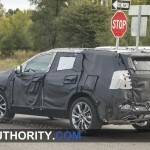 The theoretical three-row Blazer model would slot between the “regular” Blazer and the full-size Traverse as a “midsize plus” vehicle, and would more effectively compete with the Toyota Highlander, Kia Sorento, and the new Hyundai Santa-Fe, which are midsize crossovers with three rows of seating. Meanwhile, the lack of a third row in the new Chevy Blazer puts the vehicle at a disadvantage for buyers who need a third row, but are not looking for the huge size of the Traverse. 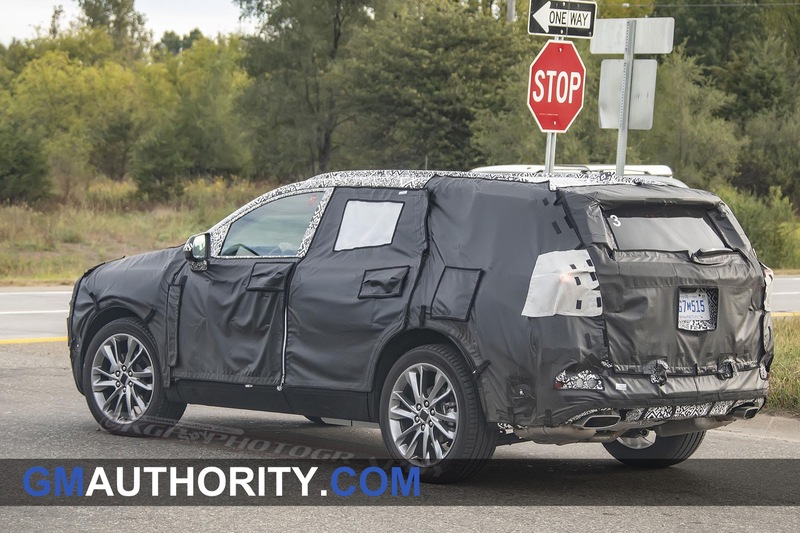 Ultimately, occupying every possible space and price point in the already-large and growing crossover SUV space is by no means a bad strategy. 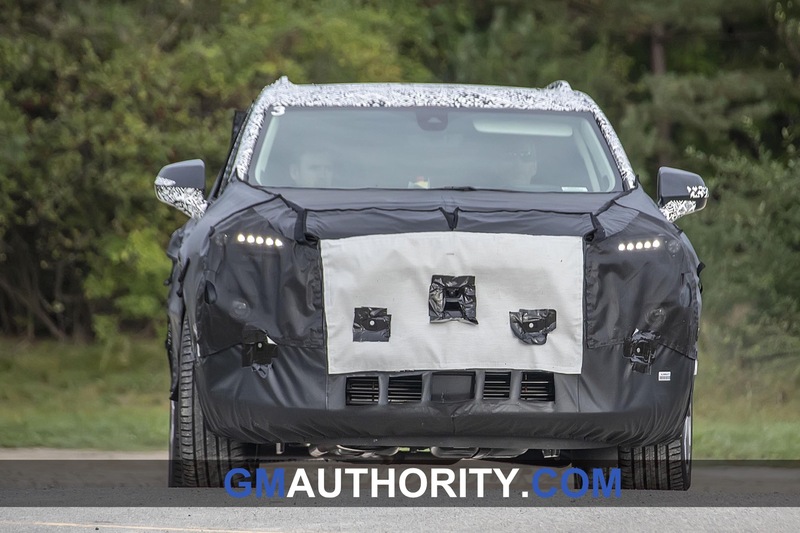 Previous story What Sort Of GM AWD System Does The ‘Sport Control AWD’ Trademark Foretell? 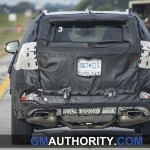 Those mufflers appear to be much lower than those in the new Blazer if you compare the two. Amy chance those are fake and that this is electric? 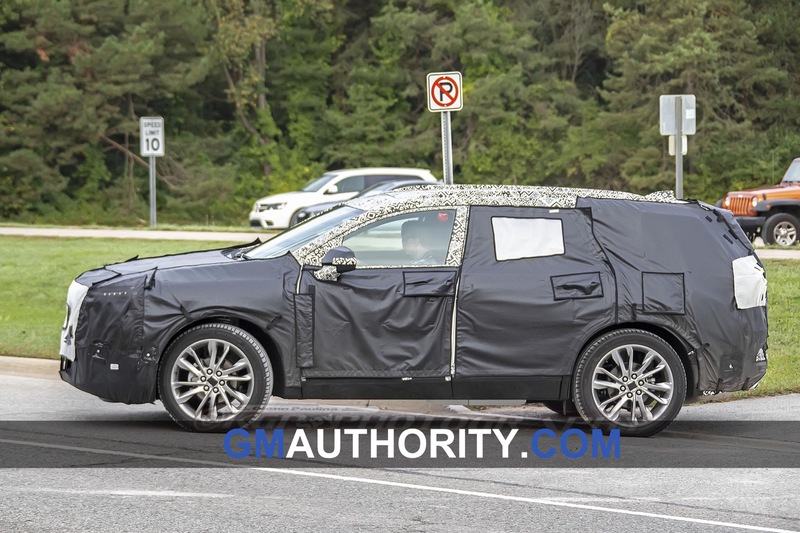 Hmm… Now looking at this, it might be a Chevrolet Orlando refresh? 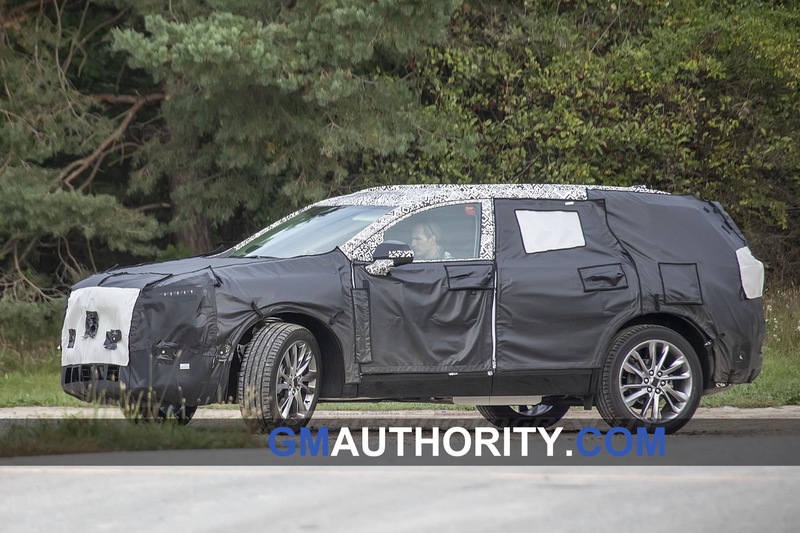 I’m thinking this is the Chevy version of the Acadia. I bet the Blazer is shorter than the Acadia so this would fit perfectly in a space for Chevy. 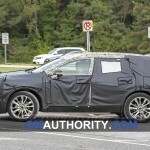 CUV’s are now going to take the place of how there use to be all different sizes cars. I agree. So Chevrolet will have all three size variations of this platform. 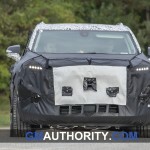 Cadillac will have two while Buick and GMC each have one. 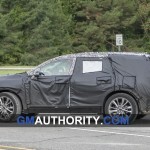 This looks to be more of the size of the GMC Acadia, which then means the Blazer we have seen is shorter than the Acadia which now makes sense. This fits perfectly in the space for Chevy. 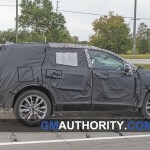 This also might explain why the Blazer is being built in Mexico, maybe this will be built in the same place as the Acadia. 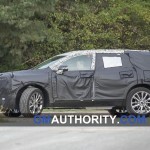 That would give Chevy 5 crossovers: Trax, Equinox, Blazer, This, Traverse. Plus 2 SUVs. They really are taking over the world. The body style of this loos very similar to the pictures just released of the Orlando. Could it be a updated trailblazer their bringing back the blazer so…? If you compare this one with the buick Enspire concept, you will find them so similar to each other. 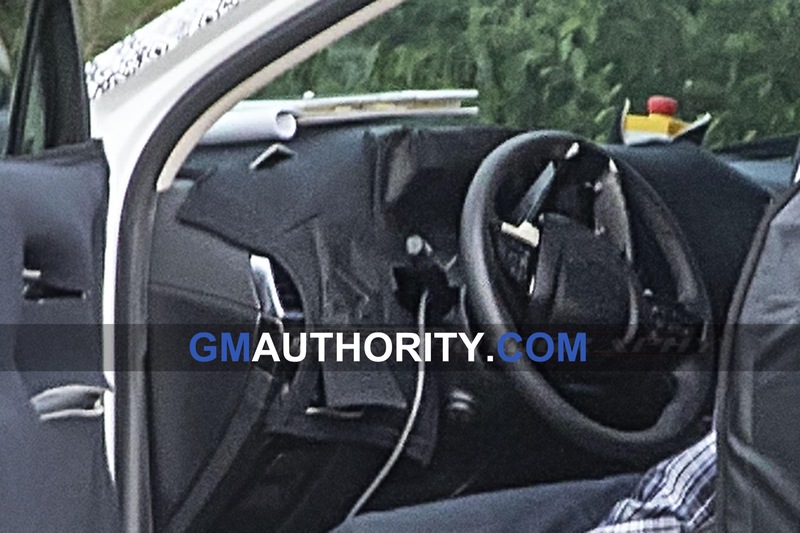 Looks like the same steering wheel that the new XT4 has..
Well it’s an SUV anyway, whether it be Chevy or Buick or whatever. Nice that it’s going to be three row too. 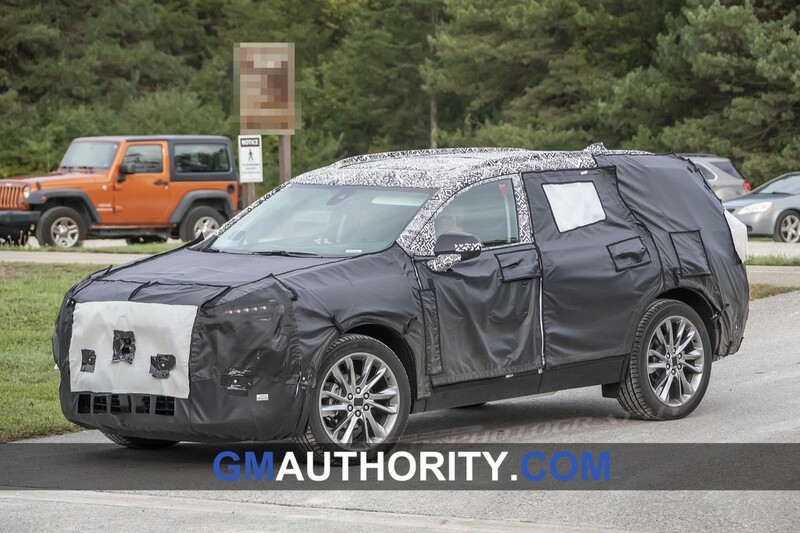 Cadillac is the only division under the GM umbrella that doesn’t have an suv of this size. Caddy desperately needs one. I’m calling it a caddy. Look at the rear end slope, and the Velcro tape going vertically up the rear looking like it’s hiding caddy taillights. Even the wheels look caddy’ish. 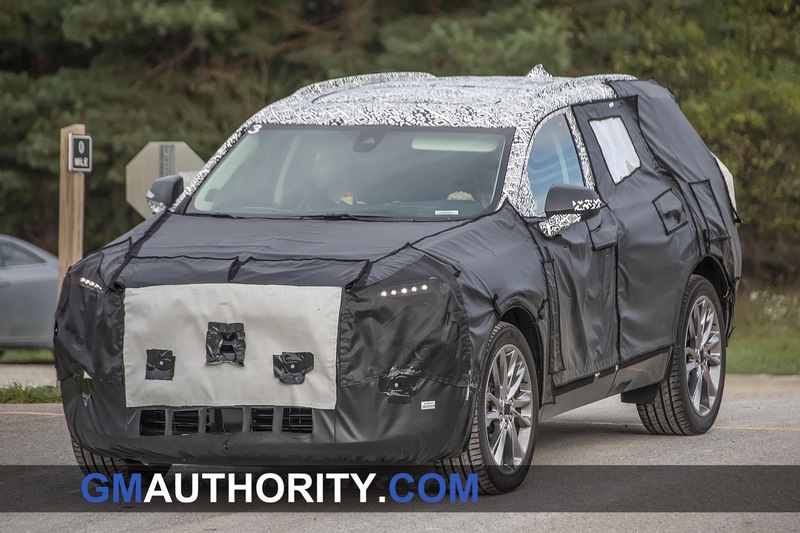 2020 HYbrid Cadillac XT5 crossover. I was not too impressed with the smaller version of the Acadia. 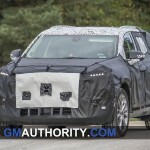 GMC Buyers either have to go to Chevy or Buick if they want full-size CUV. 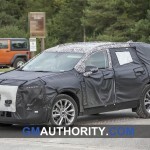 I am sure there are not a lot of crossover (no pun intended) buyers from GMC to Buick. 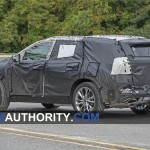 Any chance of them making a Ridgeline type vehicle from this. My guess would be most likely slim and none.